Indexes continued fluctuating today, three out of four ended advanced. SOFIX gained 0.24% to 1411.22 points and BG40 gained 0.9% to 406.68. BGTR30 added 0.39% to 922.42. The only declining index was BGREIT, which lost 0.17% to 101.91. BSE's turnover stays low – 4.375 mln leva (2.236 mln euros). 47% of the 124 active issues ended on positive territory. The value of block and other agrees transactions came to 1.114 mln leva (569,579 euros). Turnover on the Unofficial Market of Equities, where 19 positions were active today, was below 1 mln leva – 905,544 euros. Most of it was generated on the positions of Synergon Holding and Chimimport. 12,705 shares of Synergon Holding changed hands at an average of 11.33 leva, which is 0.27% up from yesterday. Chimimport added 0.99% to an average of 11.94 leva at a turnover of 17,300 shares. Relatively larger volumes were transferred on the positions of Central Cooperative Bank, Monbat and Sopharma. 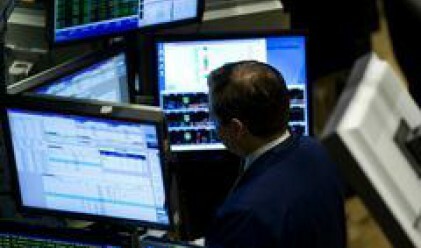 The bank lost 0.28% to 7.02 leva, while Monbat dropped 0.52% to 26.94 leva. The pharmaceutical company shed 0.69% to 7.21 leva/share. The largest volumes on the Unofficial Market were transacted on the positions of three real estate investment trusts - Advance Terrafund REIT (196,500 shares), Prime Property REIT (38,333) and Exclusive Property REIT (20,310). This is due to large transactions in the morning. Advance Terrafund lost 0.5% to 2 leva, Prime Property stayed flat at 1.64 leva and Exclusive Property fell 5% to 1.52 leva. Enemona added 0.29% to an average of 20.75 leva at a turnover of 11,099 shares. Lomsko Pivo boosted its market value 2.17% to 3.77 leva/share. FIB lost 0.5% to 10 leva after 10.615 shares changed hands today. The infrastructural companies did not attract a lot of attention today. Holding Patishta fell 0.13% to 1 165.11 leva. Moststroy eked 0.02% to 159.09 leva and Trace Group Hold added 0.06% to 169.35 leva. Trade on the position f Unimash Corporation was very active today. 4,017 shares changed hands today bringing the average price 14.56% to 1.18 leva. The new shares issued as a result of the company's capital increase were floated January 22. Unimash increased capital from 389,984 to 2,339,904 leva (1.196 mln euros) via issue of 949,920 common registered shares. Each shareholder received 5 new shares to each old share they held. The new share entitle to dividend and have a face value of 1 lev.